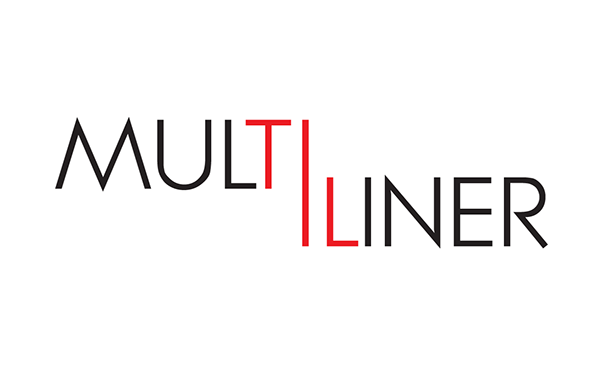 Multiliner is a ruler design with a focus on portability and versatility that eliminates the need to own a different ruler for every task. 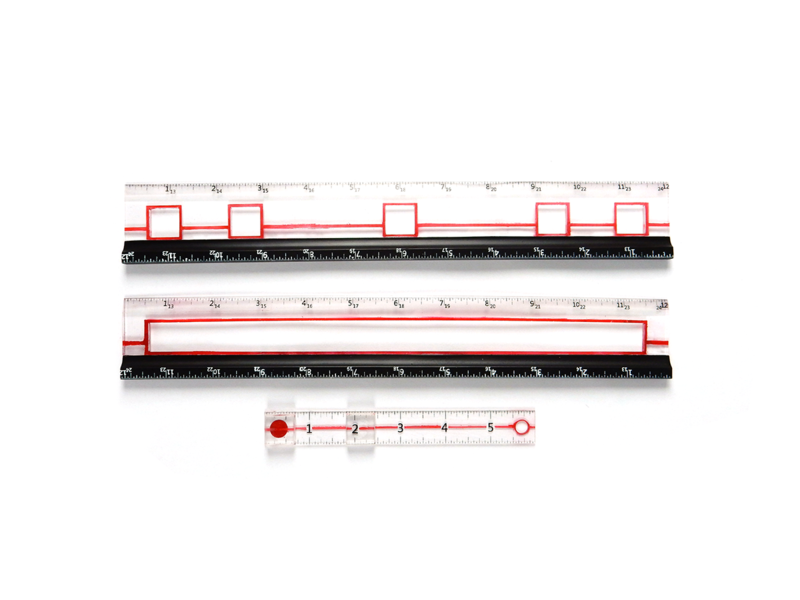 Multiliner includes one 6 inch and two 12 inch rulers that can be configured together to create a t-square, square, or 24 inch ruler. It also has both a plastic and metal edge. 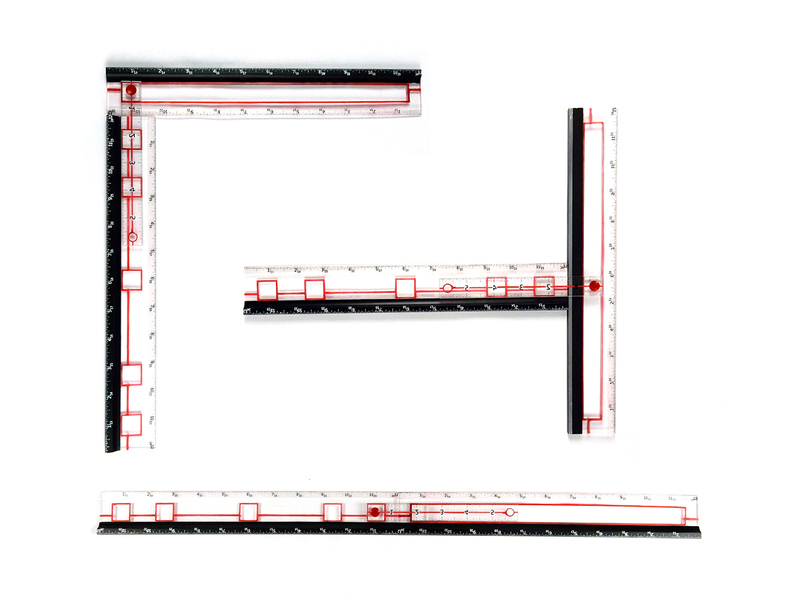 This eliminates the need for a large stack of rulers of different lengths, materials, and functions. 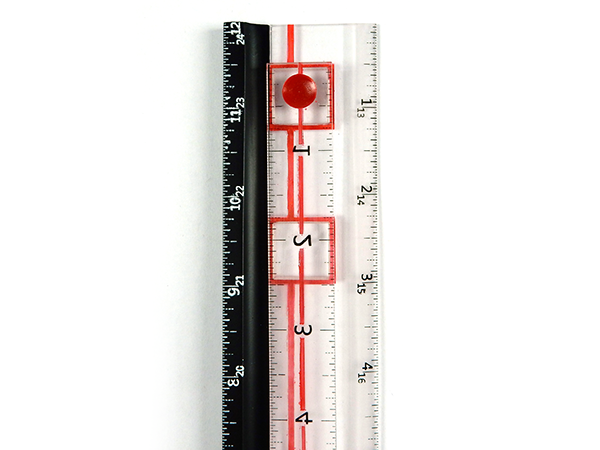 The smaller 6 inch ruler has two square protrusions that pop into the cutout areas of the 12 inch rulers allowing different configurations to lock in place. 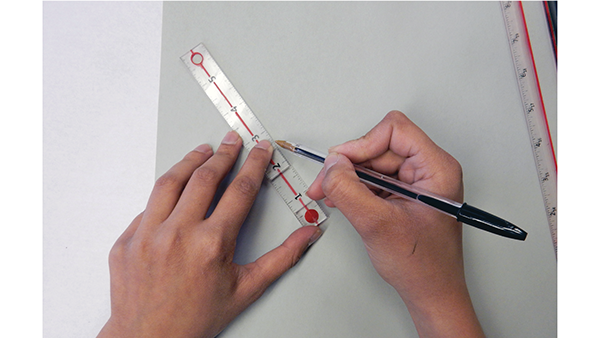 The plastic edge is useful when drawing as you can see exactly where your line will go. This edge is completely clear and tapers down to the paper giving you accurate placement. The metal edge is useful for cutting against or for measuring thicker materials. The height provides a barrier to prevent the knife or rotary blade from cutting your fingers, and when flush to the edge of thicker materials will give you an accurate reading. 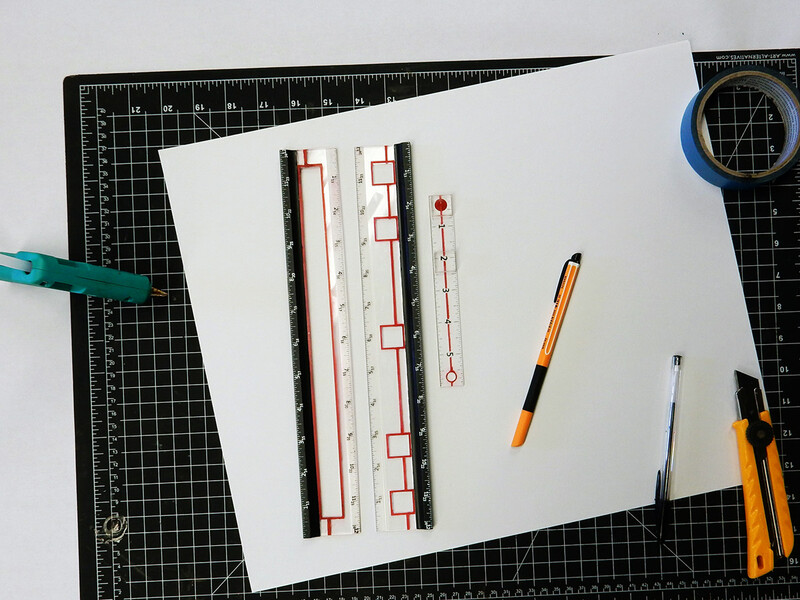 The 6 inch ruler is useful for more detailed work. The added square protrusions make it easy to maneuver and pick up. Both black and white markings allow for easy reading on any shade surface as the high contrast reduces eye strain and ensures comfort. 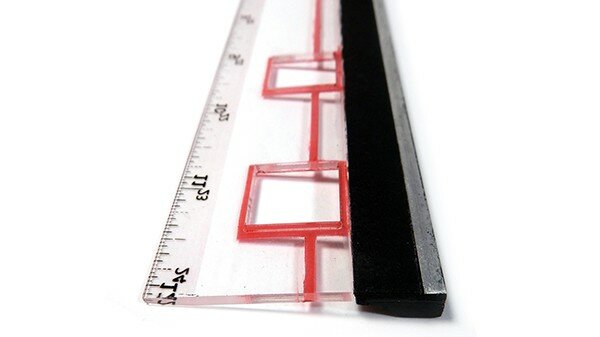 The plastic bottom allows the ruler to slide smoothly and not catch on the material when being positioned. 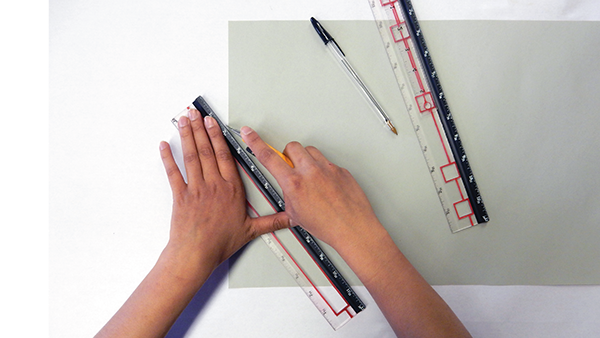 When more pressure is applied the foam strip will grip the material and ensure the ruler stays in place. 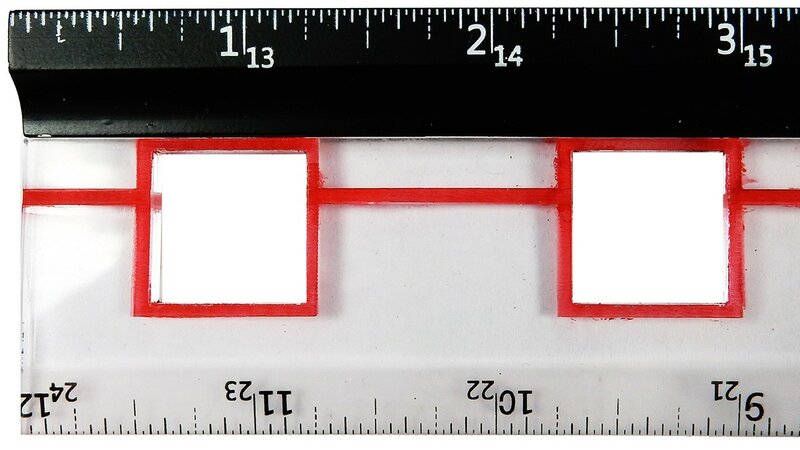 Multiline has a unique marking design where the half inch marks are separated into two segments while the quarter and three quarter marks are separated into four segments. This helps identify where you are and adds assurance you are marking in the right location. 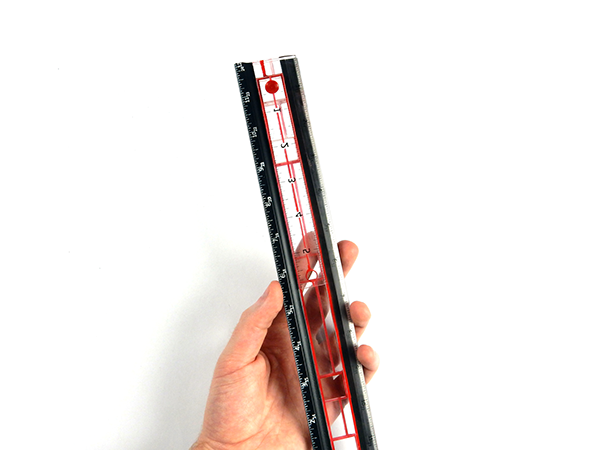 The slot on one of the 12 inch rulers lets the other slide up and down to any distance while remaining square. 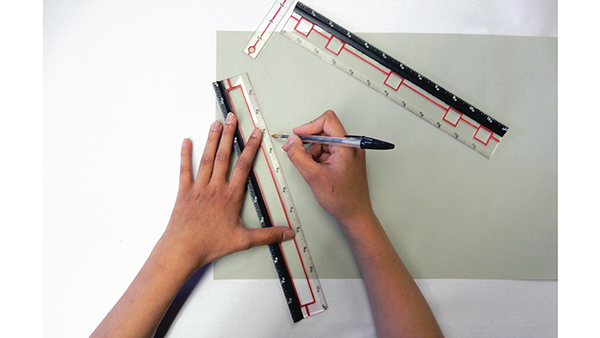 Parallel lines can be quickly drawn at set distances apart, meaning making grids or mathematical layouts will be quick and accurate. 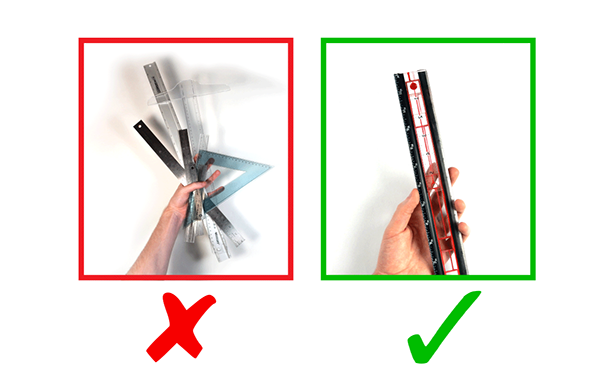 When not in use, the smaller ruler can be nested in the 12 inch ruler, keeping it out of the way and safe from misplacement. 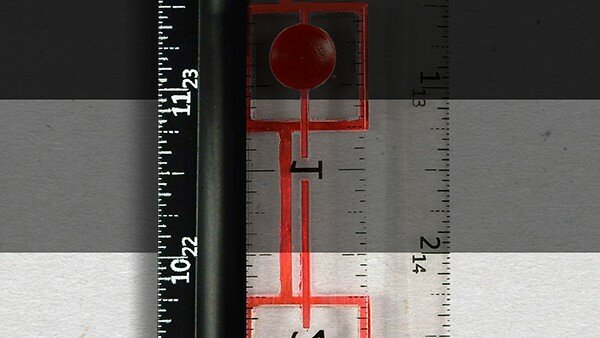 Underneath each inch mark is the corresponding length in the 24 inch configuration so you don't have to worry about adding your lengths together when measuring a longer distance. 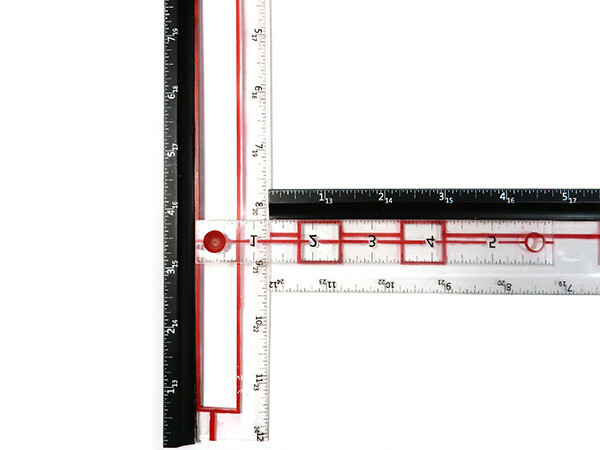 Most importantly everything can be snapped together and compacted into a size that can easily fit places your 24 inch ruler or T-square never would. Slip it into your bag or toolbox and it's ready whenever you need it. Final Project for Design Principles II at RISD.